The Digiprove engine makes use of digital fingerprint technology to uniquely identify content and references content by its fingerprint within the certification process. Within the audit trail, this has been taken a stage further, and the essential details of all issued certificates on a daily basis are combined, fingerprinted (called a super-fingerprint) and certified in a "Super-Certificate". The Super Certificate is itself included in the audit trail. In addition to periodically publishing super-fingerprints in a printed medium (example). 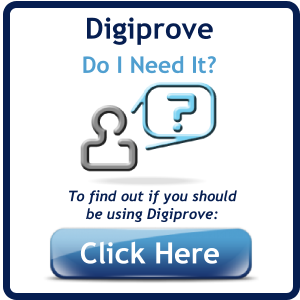 The complete master audit trail is maintained by Digiprove, and since January 2011 every digitally-signed Super Certificate is also published independently online (other than www.digiprove.com) where they are available for inspection by anyone. The certificate itself contains the timestamp and the digital signature. 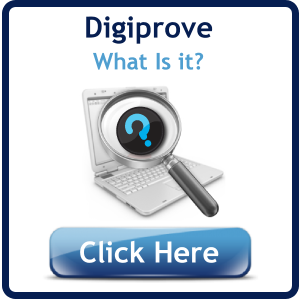 The complete list of every issued certificate containing the date and time stamp, the fingerprint of the Digiproved content, and the fingerprint of the certificate, is published also on a daily basis and is available for inspection and/or download by Digiprove subscribers.